Excessive physical and mental discomfort, nervous breakdown work stress, inappropriate eating behavior accompanied with disproportionate use of mobile phones lead to various functional disorders and illnesses. Mobile phones, often used by the student community for examinations, social adaptation and self-identification in the future profession, can endanger human health, and might consequently lead to disorders of vegetative regulation of cardiovascular system, including the rising frequency of heart contraction, increase in arterial pressure, muscle and psycho-emotional stress. Holter monitoring based on electrocardiogram (ECG) methodology was used to study the physiological state of the heart within the period of 24 h in students with mobile phones overuse. This monitoring system consists of the MT- 101 registry block and MT-200 computer-assisted analyzer. Nine students aged 20-21 years old served the objects of the study. ECG rates recorded in the pre-examination learning process were considered ascontrol, and ECG indicators, recorded during the examination period, were considered as experimental. ECG was studied throughout the day during the learning process and in the examination period to esteem the effects of electromagnetic fields caused by stress situations and mobile phones and identify the frequency of ventricular depolarization (Q, R and S wave or QRS) and heart rate. Both in normal conditions and during the examination period the frequency of heart rate and QRS scores are higher in comparison with the nighttime, at night low values are registered depending on the body’s relaxation period. Moreover, it was found that statistical reliability (p<0.05) during the period of examinations increased simultaneously inthe nighttime in comparison to control. SAZANOVA, A. A. et al. Study of the influence of mobile phones on the functional condition of students’ cardiovascular system during the examination period by Holter methods. International Journal of Biology and Chemistry, [S.l. ], v. 11, n. 1, p. 112-118, aug. 2018. ISSN 2409-370X. Available at: <http://ijbch.kaznu.kz/index.php/kaznu/article/view/320>. Date accessed: 24 apr. 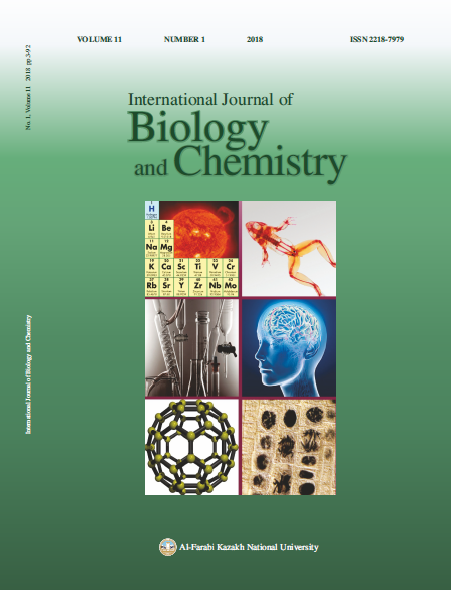 2019. doi: https://doi.org/10.26577/ijbch-2018-1-320.